Turning Japanese; well, the artsdepot in North London is doing just this for two evenings this week as part of the LIFT festival. Following on from the venue’s sell-out theatre piece Not By Bread Alone, also brought to you by LIFT, comes a new work by director and founder of the theatre company Chelfitsch (a play on the English word “selfish), Toshiki Okada. 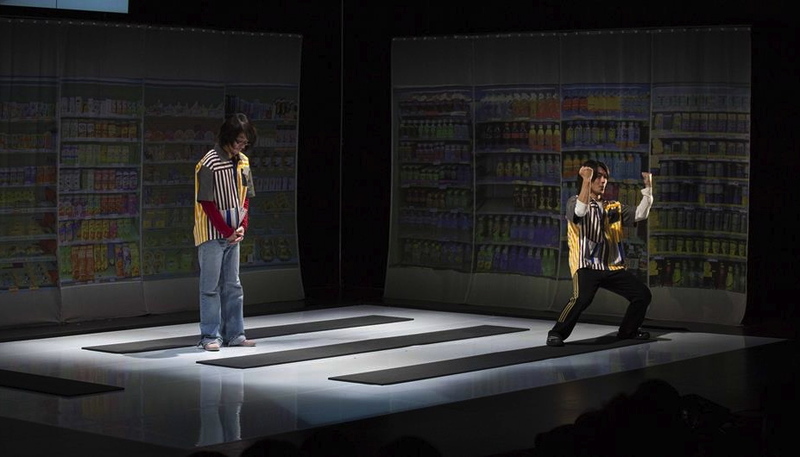 Performed in Japanese with English subtitles, Super Premium Soft Double Vanilla Rich is set in a supermarket and uses dark humour, dreamlike movement, and J-pop and JS Bach to examine Japanese consumerism. Hailed as a chronicler of the Lost Generation, Okada’s latest show gives us the chance to see what the younger generation feels and thinks about the declining economy. See if you feel the same way.